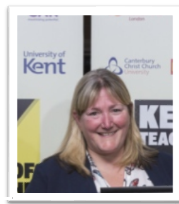 During my career, I have had experience of teaching in both Key Stages 1 and 2, developed my skills further by becoming a Special needs coordinator before moving on to become a Deputy Head and then into Headship. I have had considerable Headship experience in a range of schools and settings. When the Academy Trust was developed I then took on the role of Executive Head to oversee and develop schools within the Trust. I have a passion and drive to ensure all pupils achieve their best, regardless of their starting points and that all staff within the Trust have the opportunities to develop. 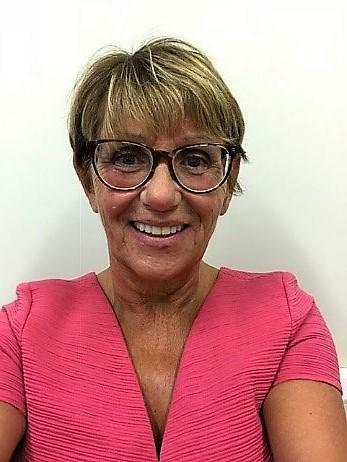 Currently, I work as a Local Leader of Education to support vulnerable schools, I am a practicing OFSTED Inspector and also a facilitator for the National College to deliver Middle and Senior courses. I have been at Pelham Primary School since 2007 and have contributed to leading various changes since this time including academy conversion, conversion to a Multi-Academy Trust, sponsorship and school improvement. My role of Director of Strategy and Resources within the Trust provides me with a diverse role where I am able to contribute towards improving outcomes for pupils whilst ensuring we are maximising resources. I have provided support and advice to School Business Managers in other schools. My role incorporates Leading Support Services, Finance, Human Resources, Health and Safety and Premises Management. The Trust is a lively and vibrant place to work where everyone is valued and developed. I have completed school business leader qualifications and have also completed a Post Graduate Certificate in Educational Leadership. I am a Fellow Member of the Institute of School Business Leaders. Although I gained my teaching qualifications at Didsbury College, Manchester after leaving school, I did not start my teaching career until after my own children started school. I have a background in leading both English and RE alongside my work with children with special educational needs. I joined Pelham Primary School as Deputy Head/SENCo in 2002 having previously taught in the Crays area of Bromley for 10 years and became Head Teacher when Pelham evolved into the Pelham Academy Trust. My commitment to inclusivity and working with vulnerable children stems from my own experiences growing up in a deprived area of Islington where education was the only way out. Education is always changing but, I believe that at Pelham, we are taking a clear, holistic view of how our children will be equipped for the future. We want them to contribute to society and to be true to themselves. We are very aware that we are not just preparing children for the next step, but for life. They need a global perspective and the skills to seek out opportunities. All children need to be given the opportunity to succeed and I ensure that all my staff have high expectations of the children. Helping in schools as a teenager whilst I was in secondary school inspired me to enter into the world of education. The experience of seeing children’s’ eyes light up with achievement after teaching and supporting them still gives me an enormous feeling of satisfaction and means that I literally love coming to work each day. I taught for a number of years across all phases within primary school, leading on science and music during this time, before I specialised further and studied part time through Oxford Brookes University to become a qualified Teacher of the Deaf. I successfully led the Hearing Impairment Provision at Pelham School for 15 years teaching deaf and hearing children inclusively. During this time I also supported a restructure within the provision and a new build project resulting in specialist rooms and facilities for the school. I became Assistant Head at Pelham and gained the National Professional Qualification of Headship (NPQH) before I moved to Normandy Primary School in September 2015 to take up the Headship post there, after Normandy joined Pelham Academy Trust. I believe passionately that children are the key to our future and being a Head Teacher is such an exciting role that allows me to support them in the early stages on their life long journey of learning. Ultimately, these children will be running the country in years to come and selfishly (when I am old and grey), I want to know that they have the knowledge, skills, values and confidence to lead us into an ever changing world. I’m proud to have been Head Teacher at Normandy throughout our journey to Good with Outstanding Leadership and feel passionate about leading the school so we can celebrate greater successes for Normandy and our children in the future.